The SealSkinz Road Thin Mid with Hydrostop Sock is a performance thin weight, mid length waterproof sock, featuring Hydrostop. The SealSkinz Road Thin Mid with Hydrostop Sock is a performance thin weight, mid length waterproof sock, featuring Hydrostop. 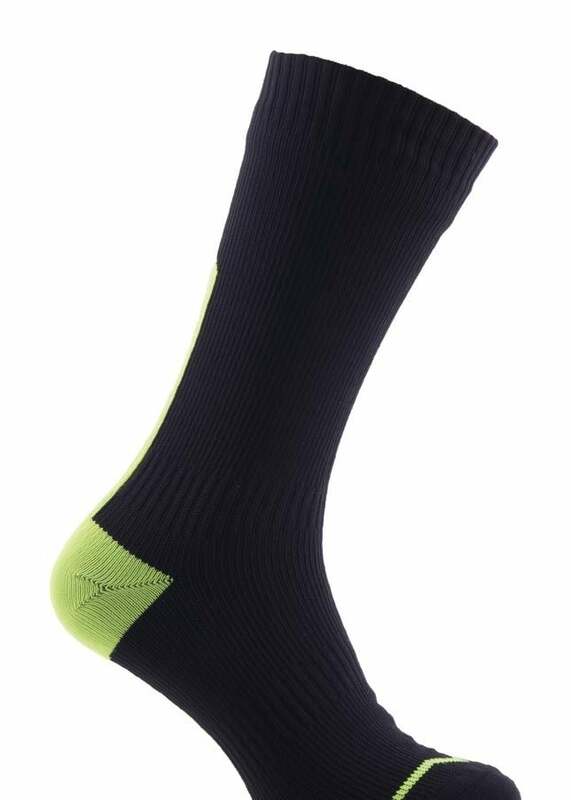 The sock is designed specifically for road cycling conditions where minimal insulation and maximum breathability are required. This lightweight, waterproof sock is ideal for warm wet days as the Hydrostop technology creates a seal between the sock cuff and the skin helping to reduce the amount of water running down the leg and into the sock.